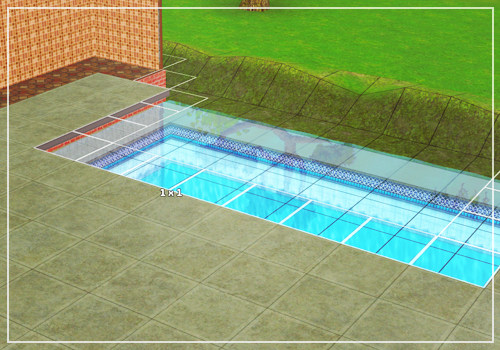 Someone on tumblr asked me how I build the swimming pool inside the foundation with one of the lots I did. There was this great tutorial on the Exchange that showed it step by step. I saved it before the Exchange went down for reference. But it doesn't really make sense without pictures. 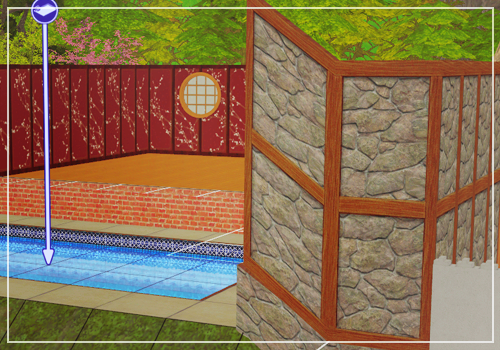 I've chosen the Takemizu Hot Springs as base for this tutorial, because this was the building that forced me to learn how. So here it is in all it's eaxis glory. 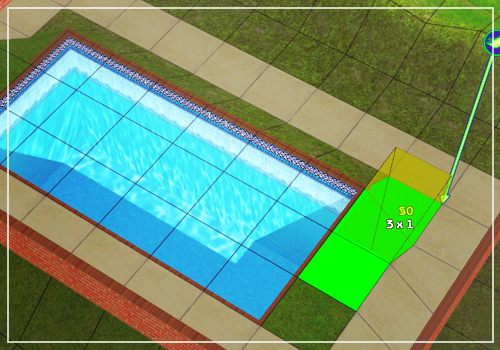 For your pool, remove the foundation where you want your pool to go. 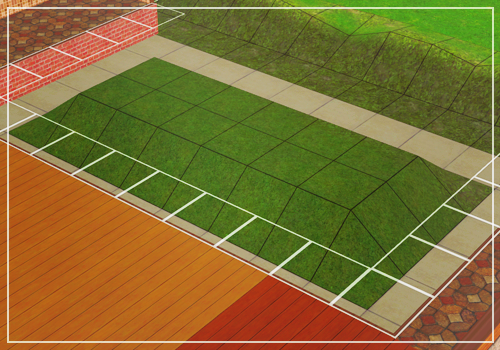 Make an outline where you want the foundation to go when you're done. 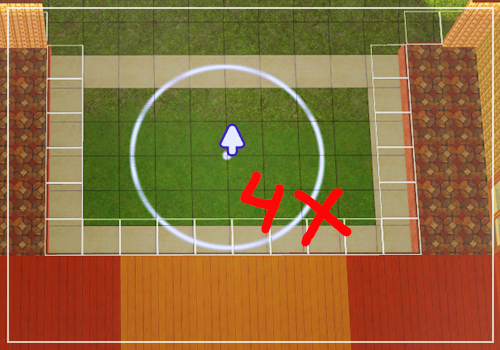 Next, using the medium terrain raise tool, raise the terrain four mouse clicks. 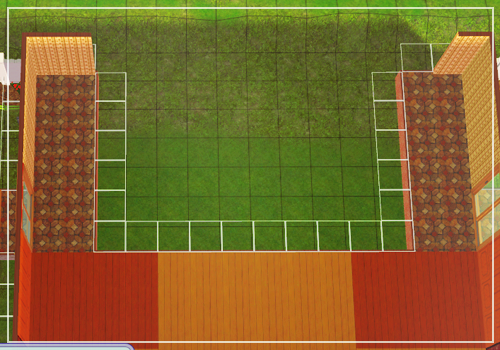 Next, raise the terrain in the entire pool area. As you know, without the use of cheats, it is impossible to raise covered terrain. That's fine, just raise the maximum amount of interior terrain that you can for now. 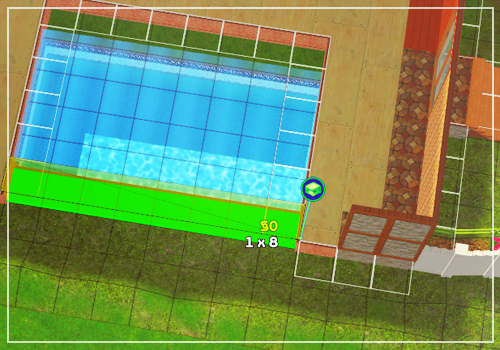 Place a pool on the raised terrain. 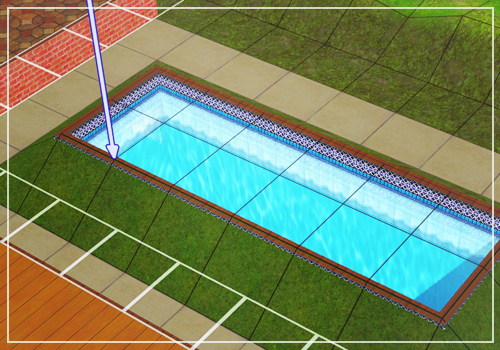 Fill in the pool area that's still grass. 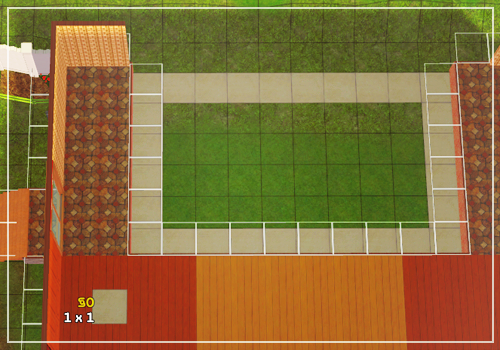 Select a floor tile and, starting at the back corner of the foundation, drag it all the way to the opposite corner of the screen. 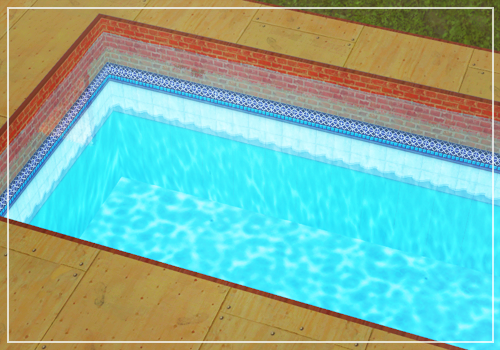 This will flatten the terrain, leaving you with a sort of floating pool top. 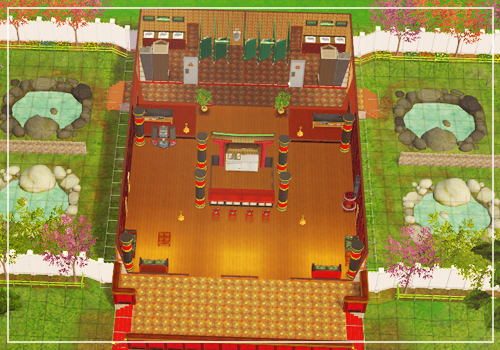 You can get rid of the outline flooring now. Place foundation around the pool. You'll have to do this one side at a time. Good luck building your pool anon!